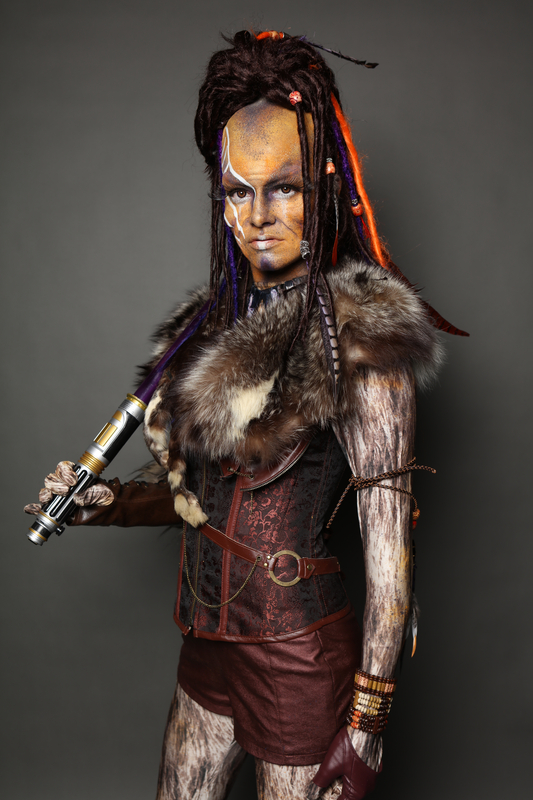 Final character makeup is my winning entry from IMATS battle of the brushes in Sydney in 2016. The theme was star wars inspired. I was given 3 random foam prosthetic appliances, brow, cheeks and nose. I repurposed the nose to horns as I didn't think it suited the character. I applied, painted and put the character into costume in the 3hour time limit. I had my 2 airbrushes but they both clogged during application as well as losing my light and power during the comp but somehow pulled it all off! I used the old school flick brush/poor man's airbrush to get the highlights and low lights.